Here celebrating the release of her debut YA book, My Dad’s a Paranormal investigator: Seeking Shapeshifters, is Rebekah L Purdy. Now, I say this isn’t your average interview because not only is Rebekah one of my favorite authors, she’s also my sister. So Bec, first off, let me say I loved My Dad’s a Paranormal Investigator and can’t wait for the fan mail (e-mails) to start pouring in. What would you say was the driving force behind this story? RLP: Can it be my husband? (lol) Really, he’s the one who inspired me to write the dad in the book. Every year he (my hubby) arranges trips and nights out in search of Big Foot, ghosts, and hauntings. As something fun for the family. Plus, I’m a HUGE fan of the shows Ghost Hunters and Destination Truth. ~How long did it take for you to write My Dad’s? ~And how long from the time of completion to publication? RLP: This book sat on the shelf for some time, so almost two years. ~What inspired you to begin writing? RLP: I’ve always loved reading, which branched into writing. But I’d have to say my fourth grade teacher Mr. McGrath was the person who introduced me to books, where I fell in love with the stories and wanted to write my own. ~What’s your favorite part of the writing process? RLP: I like it all. But probably coming up with a new idea and the excitement of creating new characters–and stalking my character look-a-likes on IMBD (Internet Movie Data Base–at least I think that’s what it means) And yes, Taylor Lautner’s available to play the character part in my next book. ~(lol) If he can’t maybe Ian Somerhalder can. ~I’m allowed to say you’re a dork because we’re sisters, right?! Anyway, is there anything you must have when you’re writing? RLP: A damn good playlist, lots of water, chocolate, my dog on the back of the chair, a notebook-for character sketches, IMBD-again to stalk my “characters”, and a theasuarus . Oh, and a computer. ~Yeah, a computer helps. (lol) Next is a question I know you’ll enjoy. Does your love of Star Wars influence you as an author? ~What is one bit of advice you’d like to impart to a beginning writer? RLP: Let’s see, one bit of advice. Don’t quit writing. Even when you think a story may not go anywhere. Basically, every story you write is a stepping stone and helps you to improve your craft. ~From one writer to another that is excellent advice. Now, I know you’ve been writing seriously for 7 years, what are some things you think have helped you improve your craft? RLP: Anytime I finish one book I immediatley begin working on the next. I also have a fab crit group, which includes my darling, beautiful sister. *wink*wink* Also, I think not taking rejection too personal helps. ~Speaking of the dreaded “R”, any thoughts on dealing with agent/publisher rejection? RLP: Again, don’t take it personal. And make sure EVERYTHING is ready to go before you send it. As in, edit your work and/or have someone else critique or read it. ~Great advice. And one final question, what’s next? RLP: I’m working on a story now and awaiting a contract on book I submitted last fall. ~Be sure to let me know when your next contract comes rolling in. (I know you will). 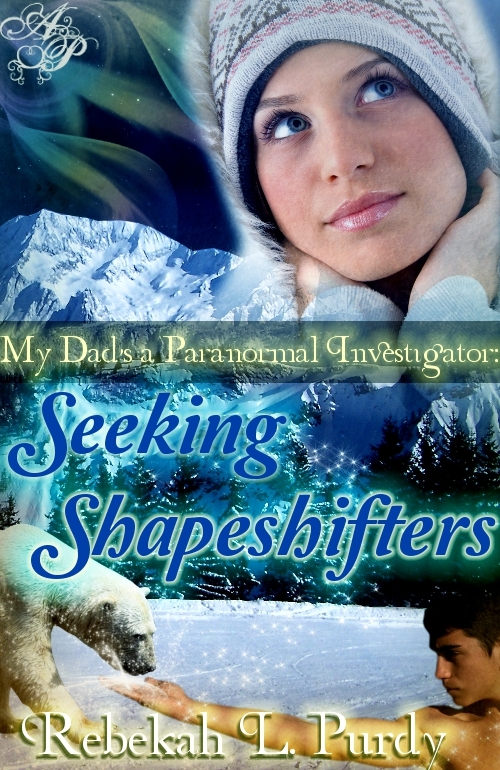 To find out more about Rebekah click HERE and enter for a chance to win her YA Paranormal Romance, My Dad’s a Paranormal Investigator: Seeking Shapeshifters. Congratulations again Bec, I look forwad to celebrating many more releases with you! Sixteen year old Ima Berry (pronounced I’m a) leads anything but a normal life. For starters, the ridiculous name her eccentric dad gave her is always the opening for a good joke. Not to mention the fact he makes his living as a supernatural investigator, which has them moving around every few months. It’s hard to hang out with new friends when she spends all her time trying to prove the existence of Bigfoot, ghosts, fairies and any other number of paranormal creatures. Unfortunately, the cases always end in disaster. That is until now. On a whim, Ima’s father decides to move them to Point Hope, Alaska. Here, he plans to investigate the possibility of shifters amongst the Inuit tribes. Ima isn’t thrilled with the move, until she meets an Inuit guy named Carsen. Not only is he hot, but he’s also a star basketball player, and he’s interested in her. Too bad his best friend, Talon, doesn’t like her and takes every opportunity he can to discourage the relationship. Ima has no idea what she’s done to make him mad, but there’s no denying the strange connection between them. As things grow more serious with Carsen, Ima uncovers a secret about him and some of the residents of Point Hope. A secret that will force her to choose between her father’s already dwindling career and her new found love. And with the knowledge of this secret comes danger…a danger that could cost them their lives. Okay, this is NOT one of Simone Ekeles new releases, but I love her so much, I have to be reading her books until I can pick up Chain Reaction (the 3rd installment in the Perfect Chemistry series) when it comes out in MAY 2011.I’ll of course be giving my short review of Return to Paradise (the sequel to Leaving Paradise) as soon as I finish, but let me just say, I love it already. Only approx 100 pages in and I wish her books never ended. 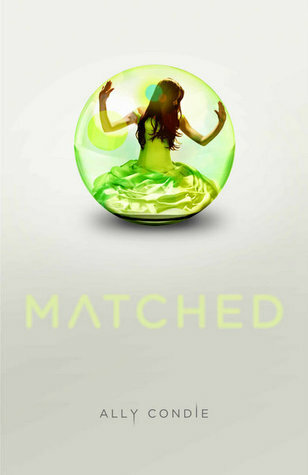 Also, new to the bookshelf this past week is Matched by Ally Condie (Allyson Condie). Can’t wait to crack this one open! BIG NEWS: The Replacement and Rules of Attraction Blog Tours! Two Fabulous Authors Doing UK Blog Tours. I adore both of these authors. Simone Elkeles who I author crush…BIG TIME! And Brenna Yovanoff, who was absolutely lovely participating on a YA panel at Romance Divas! So excited for this event arranged by Simon & Schuster Children’s UK (@simonkids_UK on Twitter). Tell me, will you be available to play on any of these dates? Before you go click over to read the most recent December ‘SHORT REVIEW’. Tags: Attention Authors, blog TOUR, Bloggity-blog-blog-bloggy!, Books!, Brenna Yovanoff, Celebrate, contests, fun, giveaways, Holidays, Love, Reading, Romance, Simone Elkeles, The Perfect Chemistry Seires, The Replacements, WIN! Categories A Good Deal, Attention Authors, author crush, Author News, BLOG IT, Books!, Celebrate, Contest, disclosure: You don't have to take my advice, Fans, get with the times, Giveaways, Holidays, Love, Other blogs, Reading, Romance, WIN! It’s no secret J.D. 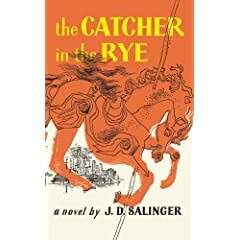 Salinger passed away this week. Neither is it a secret that he authored “The Catcher in the Rye”. For many of us this book was a must on our English teacher’s class reading list in High School. With so many authors and aspiring authors working hard to get a foot in the door, and their books on store shelves. It is crazy to think someone doesn’t love the thought of being published, right? Wrong. I think most authors, myself included, like the private life. A life where characters can evolve and plots can thicken. Where mysteries can be solve and love ignited. At the same time we want to be published, but not necessarily for monetary reasons. For me anyway, I want to share my stories. I want the reader to go on this journey with my characters as I have. Love them, hate them, share in their happiness and sadness, cry, laugh–even punch something. (Preferably a pillow). As a reader, do you think authors should be as accessible as movie stars? I’m not exactly a hermit but I tend to prefer my desk in a corner away from everyone else. How about you? As an author are you as much as a recluse as J.D. Salinger was? Popular shows saying goodbye. Besides Oprah, it’s been said Miley Cyrus may be saying good-bye to her much beloved character. And while the two shows are as different as night and day. Millions of viewers will be sad to see them end. But change is inevitable, unless you’re apart of the cartoon Simpsons family, who will celebrate their 20th year on-air tomorrow. Though, I’m sure there will come a day when Bart gets tired of being the same age and that too will end. (With my 29th birthday looming the thought of being the same age for 20 years is sounding fairly good). Hmm. On a writing note, submissions are underway. And the research for the next manuscript is coming along. I’ve had great response from the Gila River Indian Community and look forward to learning as much as I can about the area and the community in Arizona. Also, a quick congratulations to a fellow critique partner, Nina Croft as she has her first e-book coming out today with Shadowfire Store. The book is entitled, ‘The Tiger of Talmare’. (Please know, this is intended for adult reading). Put your e-mail addy here and receive notifications of new posts. ~Win a copy of Night School. US only. Ends January 2nd. ~Win a copy of Loser/Queen and a keychain. US only. Ends January 2nd. ~Win a signed copy of So Shelley. US only. Ends January 8th. ~Enter to WIN boat loads of stuff. A must see giveaway! ~Enter to win Entice (Need, #3) by Carrie Jones. Contest is US only (No PO Boxes). ~Chance to WIN Julia Karr's book, XVI. ~Enter to WIN 1 of 2: The Ivy by Lauren Kunze & Rina Onur. I actually loved this book. Meg Rosoff's voice was unique and really captured the essence of what her MC female was going through. This is an excellent read! Agent Info. A Good Deal Attention Authors author crush Author News Awards BG (aka Baby Girl) BLOG IT Books! Celebrate Contest Critique Groups disclosure: You don't have to take my advice Edits! Entertainment family time Getting Personal w/ R.M.Gilbert get with the times Girl Giveaways Holidays Just a thought Love Music Not so fun things in life Other blogs Perfect Chemistry Series Pics Publications Reading Read Me Recipes Romance Shopping Simone Elkeles Time Out Travel Uncategorized What's happening now... what? WIN! Winners WIP World Veiw World View* Writer-All-Nighter Writing General Writing Helpful YAFF! YAFF MUSE SERIES!